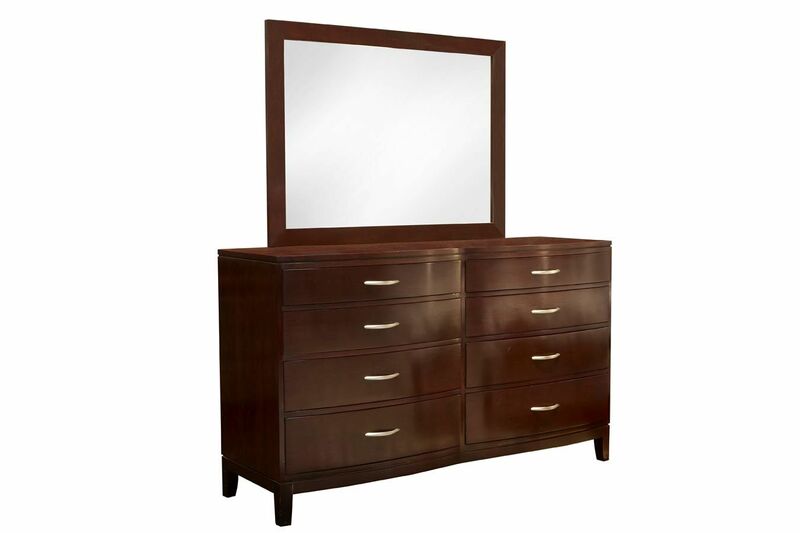 The Stickley Carlton Dresser & Mirror will add a luxurious, contemporary essence to your bedroom, thanks to clean lines and a cosmopolitan presence. 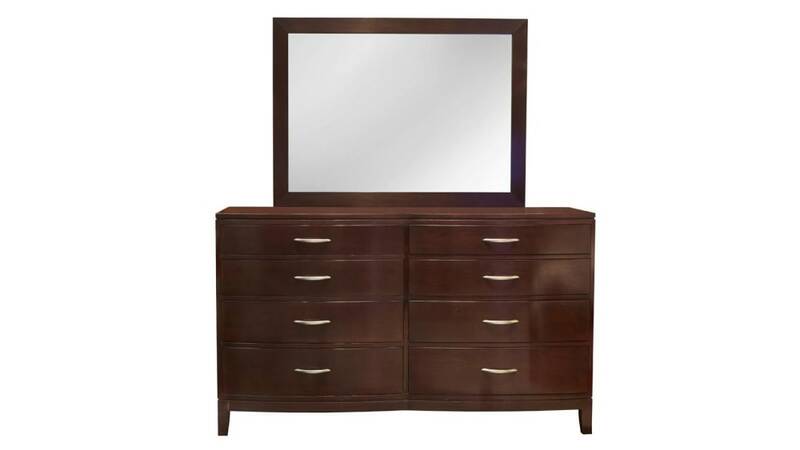 Built from solid cherry wood and stained a rich brown, this dresser and mirror combo will let you organize and maintain your essentials in fully finished drawers that attest to the talent of American craftsmen. Featuring a double-bowed front and satin nickel drawer pulls, the look is one of elegance, making the statement that this was built for the modern American home.